I love to create cards that paint the scene without words. I love 3D cards. Of course it helps when I love the beach too! 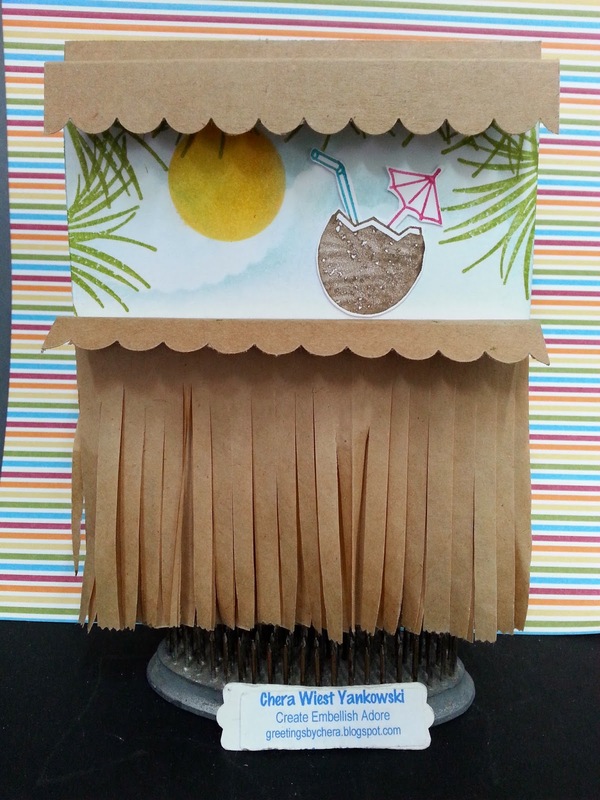 This little tiki hut hut base as a ton of fun to make & I used some recycle items and retired SU! stamps.